On April 9, Hugh Bish first through fifth grade special-needs students practiced what they learned about reading—they used the LATS bus to move around town. Students and teachers walked to the bus stop, boarded the LATS bus and rode to Golden Corral to eat lunch. Principal Sharon Havron, LPS police chief David Hornbeck and Lt. Seely joined the students. They had a wonderful server, Mr. Bill, and he was amazing! They concluded the lunch with a group picture. 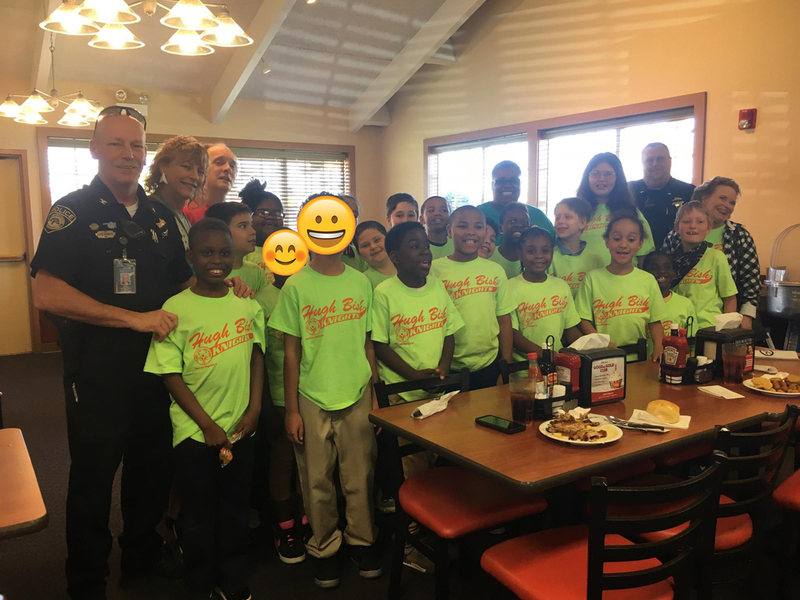 The kids were so excited to have the officers sit and enjoy lunch with them, Havron said.